Last week Kevin and I adopted Scooter – a 1.5 year old lab/collie mix from our local SPCA shelter. While he is still adjusting to his new life and learning the rules of the house we hope he is happy to have a new home. 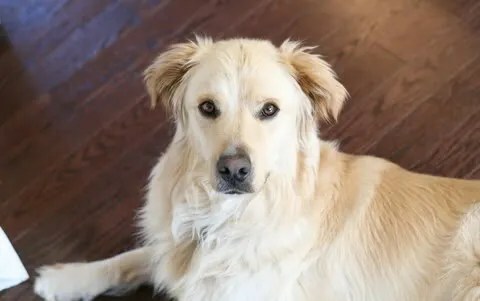 We can tell his last owners taught him some of the fundamentals – he can sit, shake-a-paw, and will sometimes come when called. He’s housebroken (although he has peed in our house twice – eww! ])and rarely barks. We are hoping to teach him more good behaviors like walking properly on a leash, how to heel, etc by taking him to obedience lessons (starts this Thursday!). Hopefully the obedience training will also teach him to calm down (or teach us how to teach him) – when he gets really excited, he chooses not to listen. It’s not his best quality.